2017 was a good year for Southend Airport (SEN) with 1,095,915 passengers passing through, a 25% growth on the 874,549 of 2016. 2018 should see further double digit growth percentage-wise with leading resident airline easyJet adding a fourth A320 series base aircraft. Easyjet will serve 21 destinations in the coming summer. Airport Director Glynn Jones says Southend is well on its way to a target oF 2m customers by 2020. The second resident carrier at SEN is Irish registered airline Stobart Air operating a fleet of 16 ATR turboprops and for 2018 five Embraer E Series jets. These are branded and marketed by Flybe and serve 15 destinations including Dublin three times daily. With the Dublin US pre-US entry immigration facilities if you live in the Southend catchment area it is an attractive alternative way for consideration to much of North America. It is hassle free and works well. At Southend the terminal, station and most of the handling and support facilities that are needed to make up a modern airport are owned and run by Stobart Group Ltd, the engineering and support services company that should not be confused with Eddie Stobart Logistics and its lorry operation, a totally separate organisation. No problems parking either. It is cheap and even the long-stay is within easy walking distance of the terminal. The short-stay facility offers a free 15min visit. Dating back to WWI when it was a Royal Flying Corps base Southend (RFC Rochford) was officially opened as a municipal airport on 18 September 1935 by the then under-secretary of state for air, Sir Philip Sassoon, who arrived in his de Havilland Leopard Moth. With mainly cross Channel business it was London's third-busiest airport in the 1960s and was where (Sir) Freddie Laker started out in the airline industry. Stobart acquired Southend Airport in 2008, a rundown facility with a throughput of just 49,000 passengers the previous year. There were very limited executive aviation facilities, but on the positive side an established range of aircraft engineering and support services generating revenue (which prosper to this day). A multi-million pound investment programme was quickly established. Approval was gained to increase the runway by 300 metres, and the navigation and lighting facilities upgraded. A new state-of-the-art air traffic control tower was installed. 2012 was the year when the new Southend Airport really took off. As the runway extension became operational, the innovative passenger terminal building was officially opened by the then secretary of state for transport Justine Greening in March, followed by brand new on-site Holiday Inn hotel in October, boasting 129 rooms, 14 executive rooms, six suites. The rooftop bar, restaurant and terrace was, and still is, the best airport view in the UK. 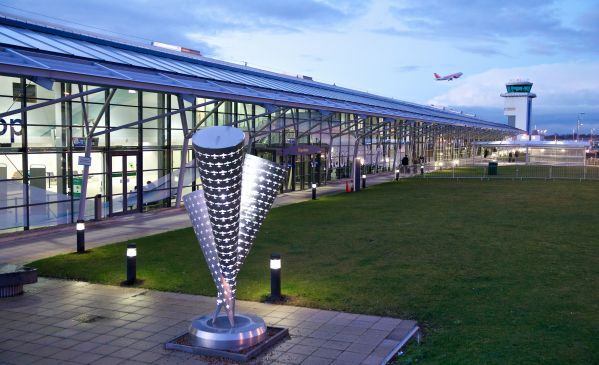 It was quickly apparent that the new terminal would be not big enough and later that year the local council gave the go-ahead to meet the ambitious 2020 target. The terminal building became 90m longer – with more check-in desks, security screening channels, larger departure and arrivals areas, and an expanded retail and hospitality offering. For 2018 a further extension has been approved but that will not be seen by the travelling public. The baggage handling facilities are being enlarged to ensure that waiting for one’s cases is kept to a minimum. Stobart runs the station with its own Stobart Rail Help Desk (0800 032 6294) a particular commitment to meeting the standards documented in the industry guide ‘Accessible railway stations: design standards’, published by the Department for Transport. With up to six trains and hour the rail service from London Liverpool Street (53min) and the major interchange at Stratford (44min) has proved to be a great success as is the easy parking and quick access to the A127 and M25. The executive handling facility adjacent to the Holiday Inn has also been recently upgraded proving all the requirements needed for business travellers, and also crew. (see in this issue Stobart Jet Centre Southend) A helicopter service to the Isle of Dogs and Canary Wharf is in an advanced planning stage. It is a 24/7 operation open 365 days per year and offers onsite immigration and customs, with pre-clearance available to qualifying passengers. Southend competes with Stansted for the East London and Essex market. Whilst it does not offer the range of longer-haul destinations of its larger competitor, and never will, it is much the same in terms of rail time and driving. The ease of transit and sheer relaxation makes it a joy to use and is attracting passengers. No long queues for security or a major walk to the aircraft steps. Even with three planes on the apron it did not seem crowded. Southend is not going to be convenient for everyone but if you have a choice do give it a go. You will be surprised. 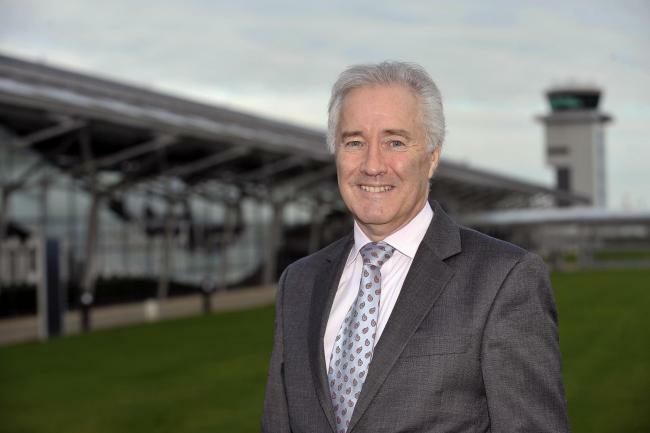 With Glyn Jones in charge, local politics in favour of expansion and a focus on a good passenger experience, Southend will continue to be an airport of choice. Couldn't agree more with this article. The airport is a pleasure to use, and that's a huge rarity these days.